A relatively early book in Clive Barker's career when he was still living in England, it is set within his hometown of Liverpool. Starting out seemingly normal with normal people, it immediately jumps to the mundane and insane. Weaveworld is a book that will delight, appall, horrify, and leave you thinking about the meaning of place and belonging somewhere. The main character, Cal Mooney, is a person going nowhere fast in a dead-end job, until he comes into contact with this large rolled up carpet that is being moved from a house. Gazing into its intricate patterns, he sees more at work here, and discovers paradise for the first time. 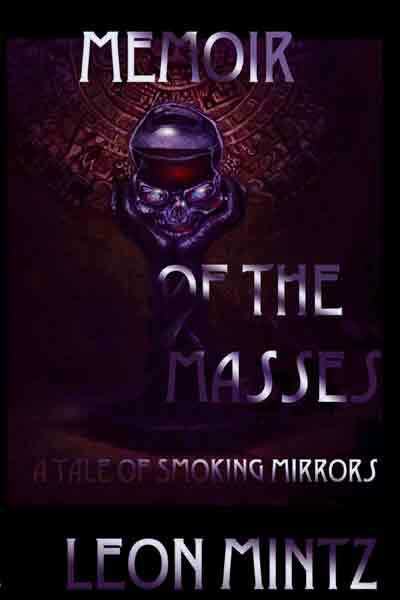 As the book develops and more characters are added, he discovers that the magically collected designs within the carpet is what is known as The Fugue: an ancient civilization and people who have lived since the beginning of existence but over time, after cohabiting with humanity, have lost numbers and suffered destruction. Over a hundred years ago The Fugue, using magic, picked the best pieces of their world and their people and wrapped themselves into the design of the carpet, safe and protected, until they will have a safer place to live in the future. Guardians were appointed over time to protect The Fugue, but now they are all gone. The Fugue's greatest enemy, The Scourge, was a menace while they were living in the world, but now lies dormant while they are in the carpet. That is until they are freed and begin to change the world around them; old enemies come out of the woodwork, and Mooney, along with the daughter of one of the guardians, Suzanna Parish, must work to protect and save The Fugue before it is too late. While not every question is fully answered, or every problem resolved, the book is still an incredible journey. If you haven't read Clive Barker before, Weaveworld is the perfect introductory novel to his language, his incredible imagination, and horrors you never thought possible.